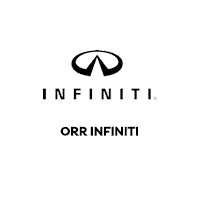 When thinking of upgrading your vehicle, think Orr INFINITI. Our Shreveport INFINITI part store has everything that you need to keep your vehicle beautiful inside, as well as outside. Browse our store to learn more about what we have to offer. Our INFINITI parts department in Shreveport, near Minden, is the best place whether you are looking for brake pads or shock absorbers or any other component. Moreover, our wonderful team of knowledgeable and helpful professionals can help you out at every step of the selection as well as in the installation process. Head to our Shreveport INFINITI parts department to get the right one for your vehicle. You can even order what you need online if you are unable to visit us.